After you have finished shopping, proceed to the view cart screen. Review the items you are ready to purchase, and select Affirm Monthly Payments. From there, you will be promted to either create a new account, or log in with a previously created account. Once you have successfully logged in and entered your information, check the shipping option you would like for your order and hit continue. Once again select Affirm Monthly Payments and hit continue. You will have 1 last final review before you can make any changes to your order or shipping address. Click Continue to apply for Financing. You will be prompted to enter your Phone number, which will lead to a confirmation txt message. Once your identity is confirmed, your financing options will be displayed. You can choose from 3 Month, 6 Month, or 12 Month options. Your monthly payments will be clearly displayed for each time frame. Choose whatever option best suites your needs, and complete the purchase. Once your payment is approved, you will be taken back to the website for the final order confirmation. Once payment is completed, we will process and ship your order out. Your parts should arrive within 2-6 days under normal shipping. 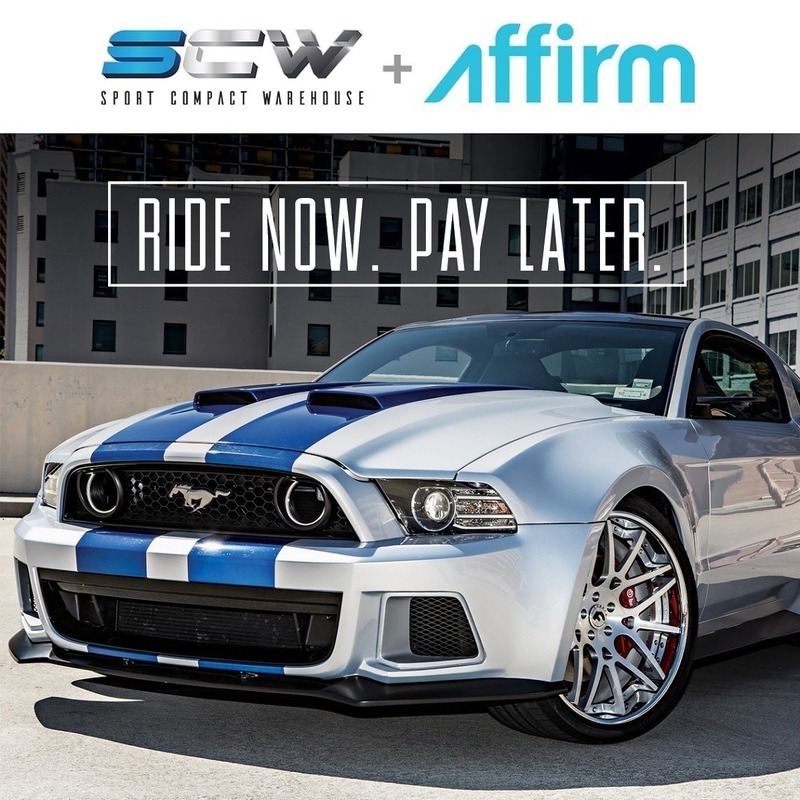 Affirm will send you monthly statements and payments will be made directly to them while you enjoy your parts from SCW.